Hot on the heels of opening their recent Kingsway location, Pallet Coffee Roasters is back with a brand new shiny venue in one of the hottest locations in town: Kitsilano. 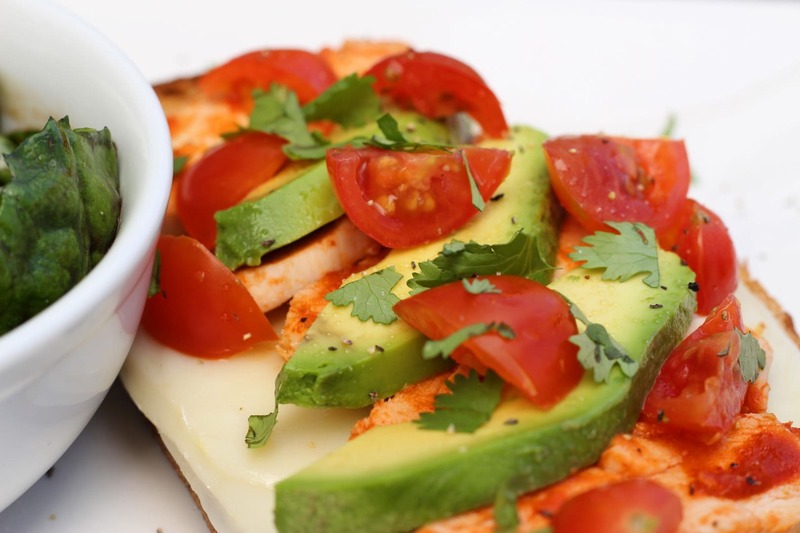 So will this place be a hit with the vegan yogis? The rich housewives? The underpaid millennials? The Irish? More importantly, is Ben, Pallets’ director of coffee, going to exclusively wear Lululemon spray on yoga pants from now on? 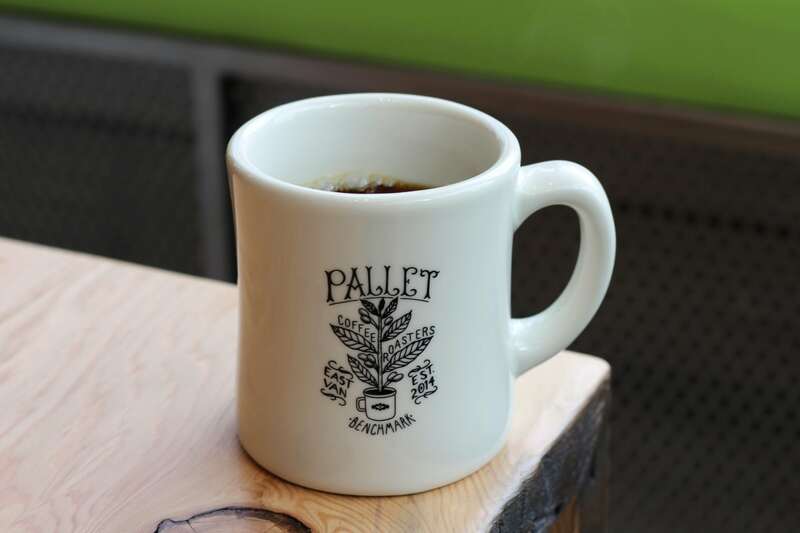 Pallet roast their own coffee, so the quality you can expect from them is always high. 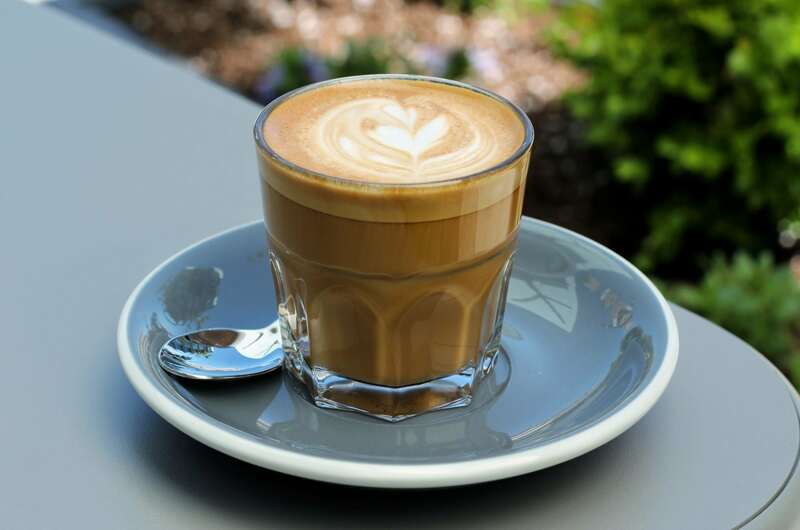 My cortado was made with their ‘Benchmark’ beans, which is a blend of Brazillian and Papua New Guinea coffee. I’m a big fan of this particular blend, as it has some really unique licorice characteristics that I’ve only really ever found in Stumptowns offerings. The cortado was smooth, well-balanced and very easy to drink. Arguably one of the cheapest Geisha pour over’s you’ll find in the city, this was crafted by the aforementioned Ben, their director of coffee. Surprisingly, for a Geisha, this one packed a pretty hefty flavour to it. I was expecting light and fruity but I got strength and balance. It was really great. They also have a vast selection of non-coffee drinks such as tea, hot chocolate and matcha. You Canadians are such wimps. I was warned “this is pretty spicy”, so if you’re suffering from Canadianism be warned. For the tough, rugged alluring English bad boys among us, this wasn’t very spicy. It was bloody delicious though. There was a pesto mayo hiding under the cheese, which made the whole thing very rich and luxurious, as well as being fresh and crisp with the tomato addition. The salad was tasty but don’t tell anyone I said that, because salads are for quitters and rabbits. 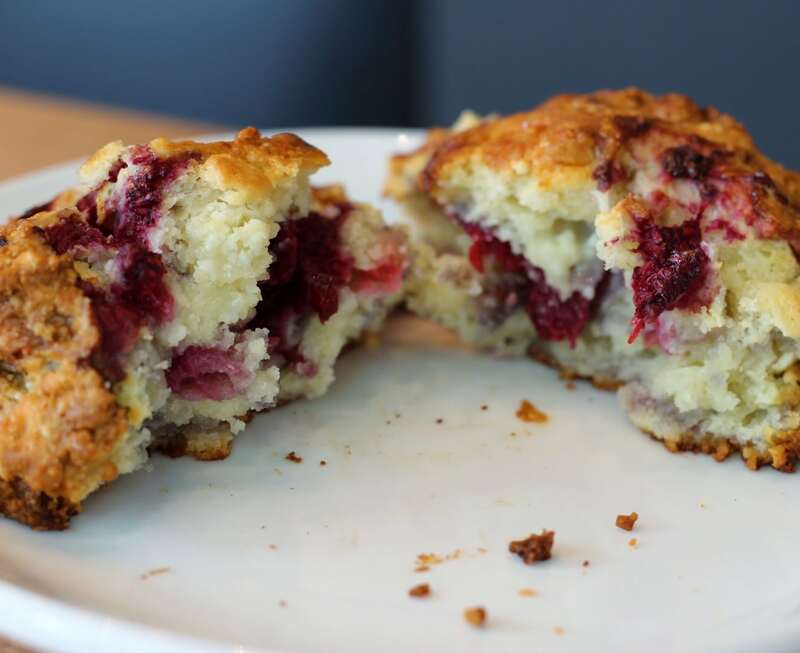 Both the blueberry muffin and the scone were packed with fruit, so they were very moist and very delicious. 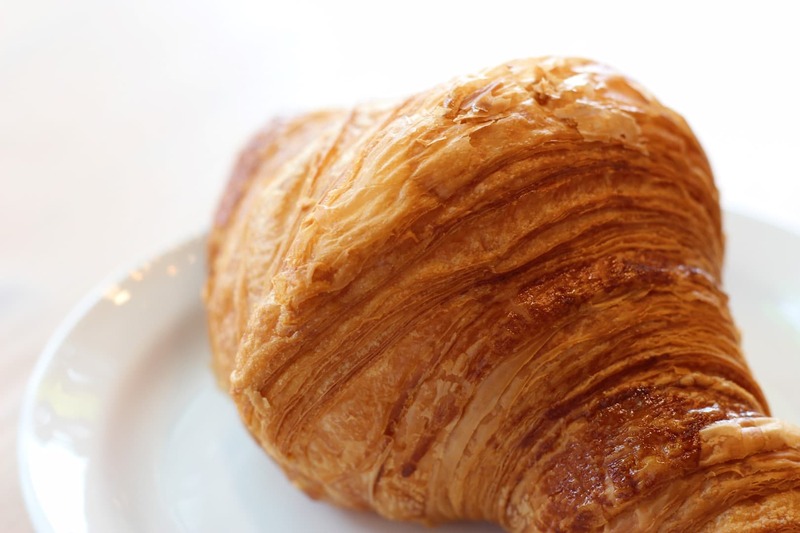 The croissant was flaky and buttery. All the treats were balanced nicely in their sweet to fat ratios. As soon as you enter you’re given a warm welcome by staff behind the bar, which in my opinion is an absolute essential in today’s coffee scene. Dustin, their new manager, is knowledgeable and enthusiastic, displaying a true love for coffee, rather than just knowing how to run a coffee shop (ask him to show you photos of his trip to Japanese coffee shops if you want to get jealous). Kitsilano is probably one of the most demanding places in the city when it comes to customer service and I have to say, their employees are doing an amazing job at adapting conversations and formalities with the locals. 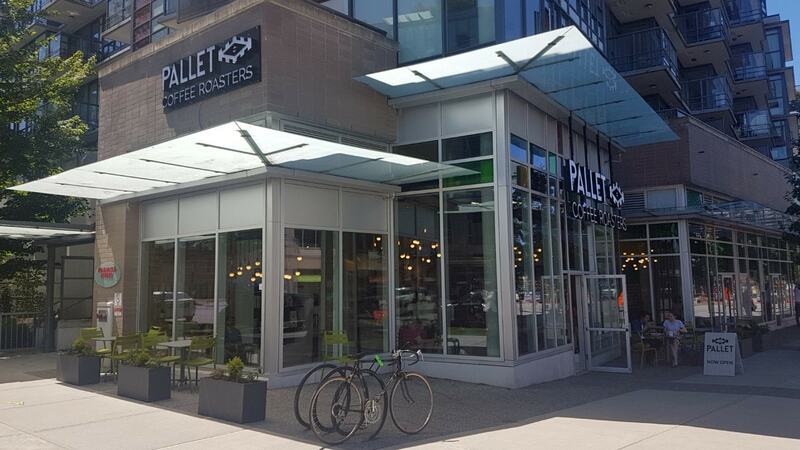 If you’ve been to their East Village or Kingsway locations you’ll know what to expect – shipping pallets! Only the design in this new venue is crisp new wood, rather than actual dusty old wood from warehouses! 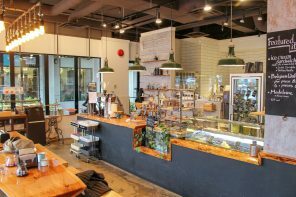 The venue is large and airy, with plenty of seating (bonus points for the large communal table) and a long beautiful bar area for espresso drinks and pour overs. The natural light in this place is phenomenal, with its two-story windows, meaning you can aim your camera anywhere for a great Instagram worthy shot. Finally their trademark light fixtures are back, which gives a warm light glow, when the sun goes down. 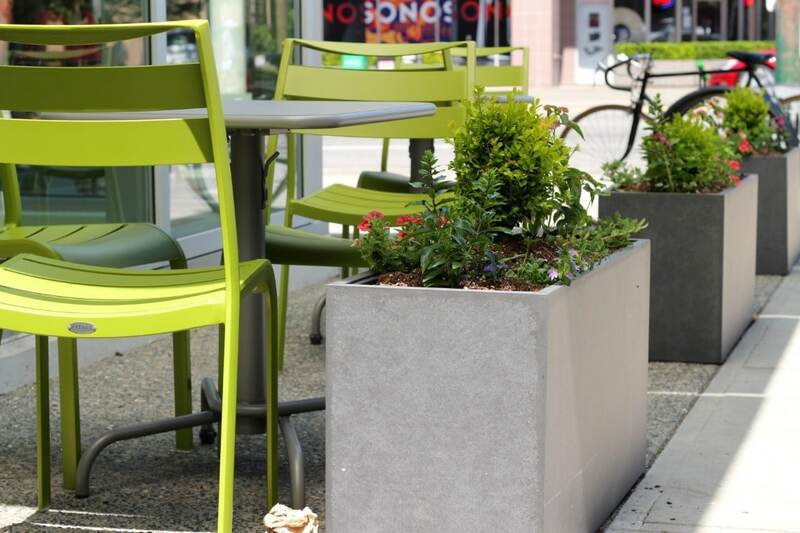 Now that the summer is (finally) here, there’s also a wrap around patio, which is perfect if you bring along your canine compatriot, for some pavement based pooch action, Roadside Rexing or main drag mutt loving. Dogs… I mean dogs… you can bring your dogs. This location in Kits BADLY needed something here. 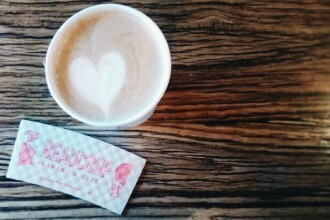 It’s very close to Arbutus and Broadway, which was a bit of a no mans land for good coffee. There is a ton of free parking on the back roads, a bus stop almost outside the front doors and there’s a rumour that a new SkyTrain station could be opening across the road. We can look forward to that last one in 50 years time, when Translink finally build it. There are two well-appointed and stylish bathrooms downstairs. They’ve decked them out in brown woods and dark paint, giving them a stylish but sleek look. Settle yourself in here for one of the coolest poops you’ll ever poop. This place is going to be a massive hit, I can almost guarantee it. The location is prime for cultivating a stylish shop with a great local regulars scene with decent food and a great coffee selection. This success of this place all hinges on one thing though – Ben, you’re an alright looking chap, but if I see you wearing yoga pants I’m going to f*cking boo you in the street.